The national disaster management agency warned people to stay away from the coastline due to fears of another tsunami. 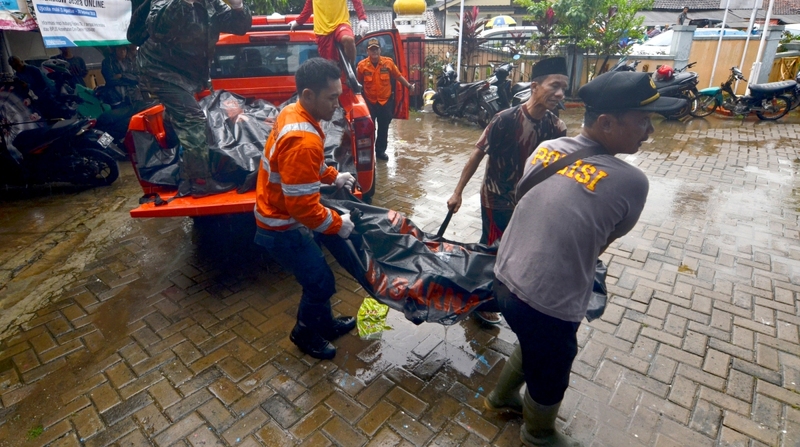 At least 168 people have been killed and 745 injured after a tsunami hit the coast on Indonesia’s Sunda Strait, government officials said on Sunday. There was no warning of the advancing wave that struck on Saturday around 9.30 pm, the BBC reported. Deaths have been reported in the Pandeglang, Lampung and Serang regions. The BBC report said there were reports that the death toll in Lampung province alone could be in the hundreds. 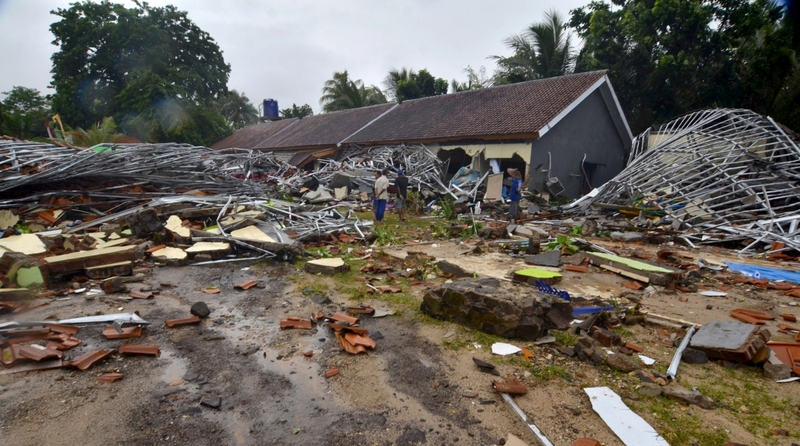 Sutopo Purwo Nugroho, national spokesman at Indonesia’s disaster agency, tweeted footage of the damage in Lampung. The national disaster management agency warned people to stay away from the coastline due to fears of another tsunami. Among the areas hit was the popular Tanjung Lesung beach resort in west Java. Emergency officials were investigating whether the tsunami was caused by Anak Krakatoa, a volcanic island in the Sunda Strait. The country’s disaster management agency said hundreds of buildings were damaged by Saturday’s tsunami. The possible cause of the tsunami is being said to be undersea landslides after the Anak Krakatoa volcano erupted in the Sunda Strait, which is between the islands of Java and Sumatra and connects the Java Sea to the Indian Ocean. Members of the band were seen being swept away as the wave destroyed the stage. In an Instagram video, singer Riefian Fajarsyah, said the band’s bassist and road manager had died, and that three other band members and his own wife were missing. The country’s Red Cross said it was on the scene and searching for victims in the rubble of one collapsed building. Oystein Lund Andersen, a Norwegian volcano photographer, who was on the Anyer Beach in West Java, trying to photograph the erupting Krakatoa volcano, told BBC: “Earlier in the evening, there was quite heavy eruption activity. “But just prior to the waves hitting the beach, there was no activity at all. It was just dark out there. “And suddenly I saw this wave coming, and I had to run. There were two waves. The first wave wasn’t that strong — I could run from it. “I ran straight to the hotel, where my wife and my son were sleeping. Nugroho, initially said the wave was not a tsunami, but a tidal surge, and told the public not to panic. He later apologised for the mistake, saying there had been confusion because there was no earthquake. Earlier on Sunday, a tsunami warning went off by mistake, causing widespread panic. “A tsunami siren in Labuhan Bay in Pandeglang regency started ringing all of a sudden, without any activation from the authorities,” Nugroho said.